I have wanted to do a giveaway, because I adore free things, and well, I like to give things as well! It’s in this box. It’s just a little something, but still, it’s fun. I’m not going to reveal it yet though, first I need more followers! So, when I have 20 followers (I have 5 currently as of 4-16-12), I will post the giveaway with details, and do a random draw from comments. This is not sponsored, it’s from me. 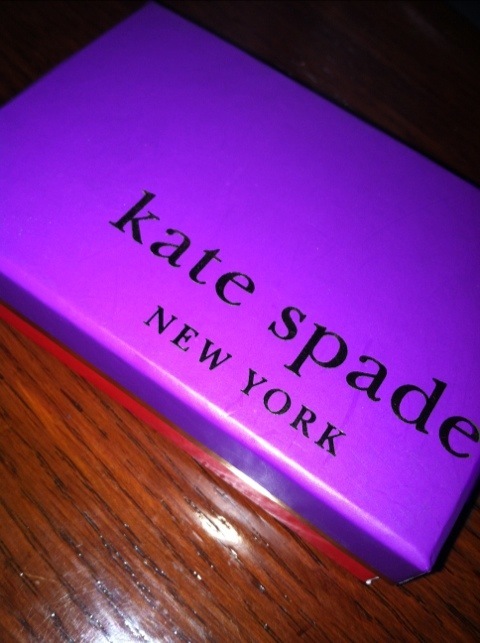 And I love love love sending out packages of goodies, you might get more than what is in this little Kate Spade box! This entry was posted on April 16, 2012 by katespadegirl. It was filed under Giveaway and was tagged with Freebie, Giveaway, Kate Spade, worldwide.